I was given this plant. It is in a glass container 8 1/2 in. tall and 10 in. round. It has some round, light brown-looking beads in the bottom, then perhaps inch of soil, then the rest is roots. I am "babysitting" this plant for a friend who has moved. I have no idea how to care for it. It has one blossom at this time. Thank you. 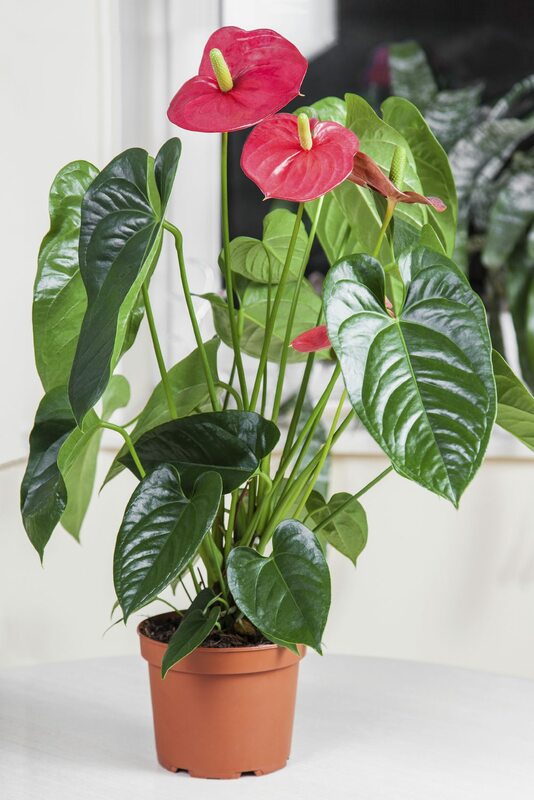 It sounds like you mean Anthurium- does this look something like your plant? Growing in a glass container with no drainage holes (likely with water at the bottom) is not the best way to grow these plants, but if you're planning to return the plant to your friend, just keep it in the glass container and replenish the water when needed to keep it at the same level.